A turn in the capex cycle may not be around the corner if primary market activity is any indication. Fresh capital through initial public offerings (IPOs), typically used to fund expansion and capex, continues to remain sluggish. For the second financial year in a row, fresh equity issuances have accounted for less than a fifth of total IPOs. 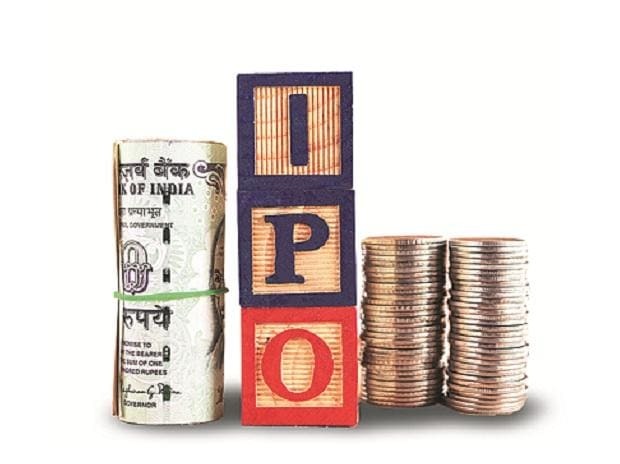 While the fresh issue portion of IPOs has been going down over the years, this financial year has been abysmally low at only Rs 2,663 crore, 82 per cent lower compared to the last financial year. In fact, new companies have spent more on IPO-related expense this year than they have on actual capex. Also, the bulk of the fresh proceeds have gone towards repayment of debt. 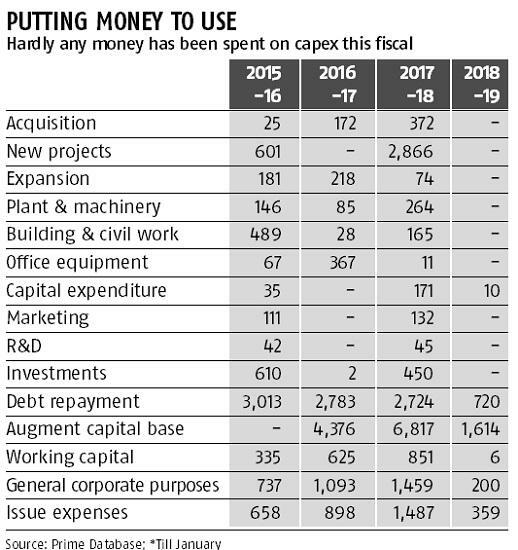 The situation has deteriorated compared to the last year when companies had spent a decent amount on new projects and financial companies towards augmenting their capital base. Investment bankers said emergence of private equity (PE)-backed companies is one of the reasons for less fresh capital. Most of the companies that got listed in the past few years are not from capital-intensive sectors, they said. “Except banking, financial services and insurance (BFSI) companies most of the IPOs that happened in the last few years are not from the capital-intensive sectors. There were decidedly fewer companies from infrastructure, power and industrials sectors. Most of the IPOs are happening in PE-investment companies where the investors want to exit. They have invested in four-five years, and capital markets are their exit route,” said Ajay Saraf, executive director, ICICI Securities. Bankers said capex trend may not adequately reflect through IPOs, as they are no longer the first resort for companies that want more funds. Companies are increasingly looking at PE and venture capital funds for these needs, they added. This has led to a steep decrease in fresh capital through IPOs. 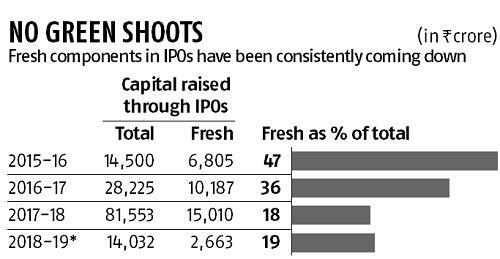 Seven-eight years back much of the funds raised through IPOs were on account of fresh issuance and has since come down gradually, bankers said. Experts said considerations for listing were no longer capital raising. “If a business does not need fresh capital and the existing shareholders — whether it is promoters or PE shareholders — need monetization, they may prefer to list the company through offer for sale without any primary issuances. 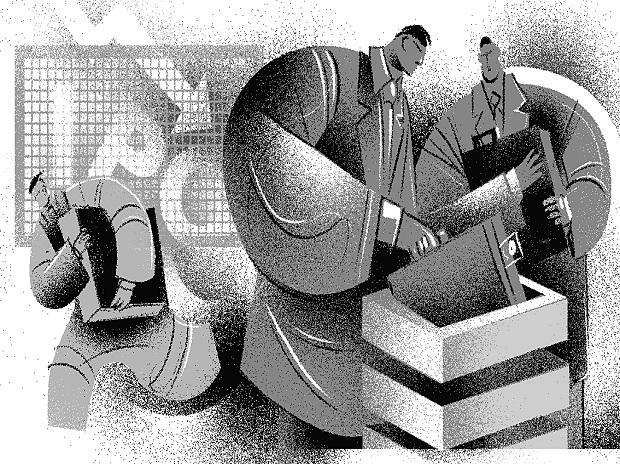 In the past couple of years there have been many instances where companies have been listed without any fresh equity being raised,” said Nipun Goel, president, investment banking, IIFL Holdings. Experts said once existing capacities are put to use, only then will there be impetus for further capex. “Many companies have built capacities over a period of time because of which the balance sheets are reflecting debt-equity mismatch. Ideally, the money should come from equity but because the equity markets were not available at that point of time they used debt. The current fund raising is to correct the imbalance. Secondly, because companies are building capacity at a slower pace, they are making secondary sales to allow investors to exit. This trend may continue for some time till the capex cycle picks up,” said Munish Aggarwal, director, capital markets, Equirus. While the IPO pipeline for next financial year looks healthy, the fresh issue component may continue to be lower. The markets are still one or two years away from fund raising for the propose of capex, said experts.